Copa Podio is quickly positioning itself at the forefront of a movement that is heading towards the professionalization of Brazilian jiu jitsu. Though the organization is deeply rooted in Brazil, they have been very keen to open their grand prix format to athletes outside their stable, having consistently gone to the United States, Australia, Europe or even the Middle East in search of new talent. The most interesting thing about Copa Podio has been consistency in the quality of their shows, and the athlete choices, one that sticks to jiu jitsu without the need to follow more popular markets such as mixed martial arts (exception made to Alan Beltcher), to keep their company going. With 3 separate weight classes, their events have not run as smoothly as we would all have hoped for. Although the quality of the fights has very rarely disappointed, the inferior stream has caused a dent in their reputation. To fix that, the management has graced their viewers with a free stream (yes free!). The event, taking place on the 9th of May 2015 will be filled with talented heavyweights and some truly exciting superfights. Below we go through what you should expect from their heavyweight grand prix event. If there is one absolute truth to Leandro Lo’s game is that it delivers. No matter who you put in front of him, Lo will push the pace, take chances and make his opponents work. This work ethic will surely be needed against a bigger and very experienced Serginho Moraes. Moraes is often regarded as a “slow cooker”, a man that sticks to a good game plan, and this might be exactly what he needs against the volatile 3x Copa Podio lightweight champion. 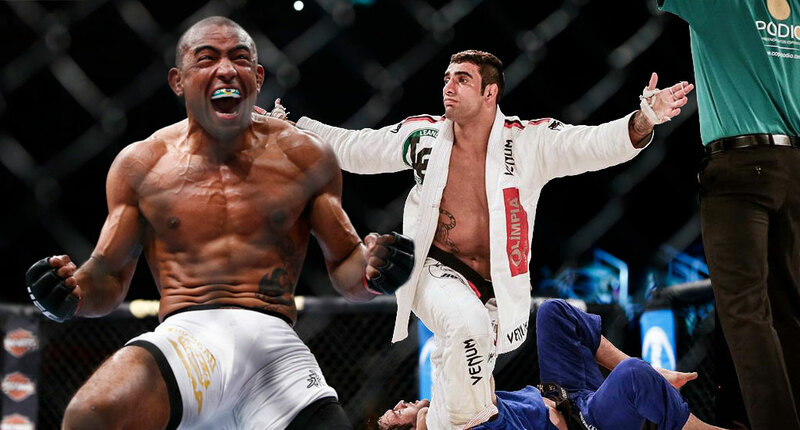 Coming from a long layoff of competitive jiu jitsu, Sergio Moraes has been focussing on his mixed martial arts career, both as a coach and has a fighter, just recently having defeated Mickael Lebout at UFC Fight Night. Although the fight could go either way, especially if Moraes can close his 50/50 guard, the momentum is certainly on Leandro Lo’s side, and this might turn out to be tough night for Serginho. Always entertaining, Gregor Gracie returns to the Copa Podio for a No Gi match against Daniel “Moraes”. On paper both fighters have excellent wrestling and top control, though Gregor tends to be more aggressive and seek the finish more often. Daniel is regarded as a calculated and methodical grappler, but don’t discard his finishing abilities, the man has a powerful guillotine. In this well matched fight, the competitor that gets top control might very well leave the event with the win. Another no gi match, and this one might very well steal the show on the 9th of May. Two very creative grapplers that like nothing else but the submission. Milton, or “Miltinho” is a luta livre expert, well known for his innovative arm triangle attacks, from the top and bottom. The “anaconda choke” king is always exciting to watch, but make no mistake, Goiti Yamauchi is no push over. Though more focussed on his MMA career at Bellator, Yamauchi is a serious Brazilian jiu jitsu black belt, having recently won the Paraná state championship winning all fights by submission. Goiti should also be the bigger fighter (even if the fight is set at 77kg). Expect fireworks from these two. Great fight. This fight will be for the first round of a new “Country Challenge” (USA vs Spain), two of the most talented new lightweight stars of the sport, from two very strong camps. Famous for his flexible and offensive guard, Edwin Najmi’s talent will go against Alex Cabanes. Alex placed second at the world championship last year, losing to his team mate Michael Liera Jr. in the final. No introductions necessary for the young stud from Gracie Barra (Belo Horizonte). Much like Leandro Lo, this black belt under Marcelo Azevedo doesn’t know how to stall. Felipe is the heavy favorite to win, having had a tremendous run lately with wins at the world championship, the Copa Podio (middleweights) and the ADCC Rio de Janeiro trials, where he finished 5 out of 6 fighters. After the unlucky and gruesome injury suffered by Panza at the Abu Dhabi World Pro, the Copa Podio organization worked hard to bring a worthy grappler at the last minute. They found one in the Alliance heavyweight, Fernando Reis, who is coming off a win at the Brazilian Nationals as a brown belt in the heavyweight division and he has beaten many of the top brown belt prospects, including the enormous Otavio Natali this year. Fernando Reis arrives with little pressure to the event, but he is set to turn some heads his way. One of the great prospects in the American grappling circuit, this Julius Park black belt of the Crazy 88 training camp is set to make waves in the jiu jitsu scene. 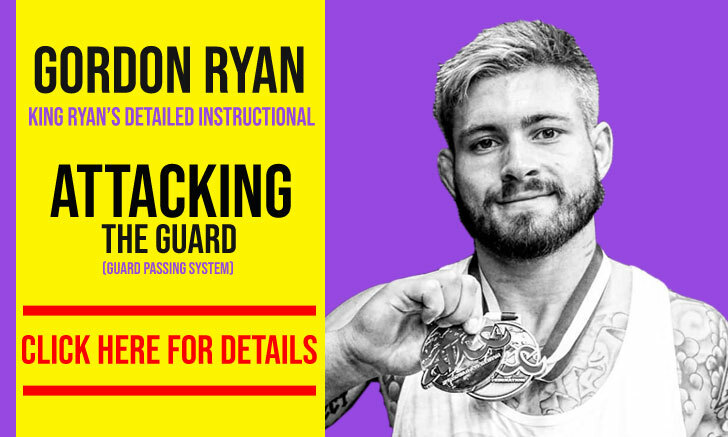 Tim has won a bronze medal at the Pan American Championship earlier this year and is maturing in the sport, he may not be a favorite to win the Grand Prix, but he may very well prove to be the competition’s dark horse. Much like Spriggs, Erberth (who just happens to fight for the same team in international events) is a young prospect with lots to prove. Erberth has had some success recently, winning the Rio Fall Open in his weight class and the open weight, but Copa Podio brings new challenges to the Guigo black belt. It will be interesting to see how Erberth will deal with the more experienced Felipe Pena, Vinny Magalhaes or Pé de Chumbo though whatever happens, expect Santos to be among the most entertaining grapplers on set. 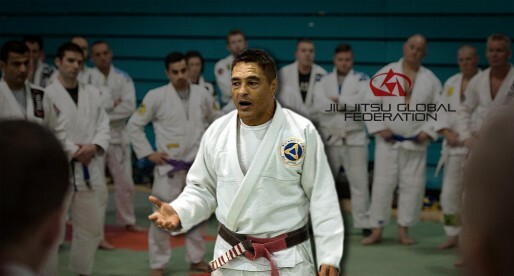 A finisher and a student of the game, Vinny is coming back to his roots, the gi. 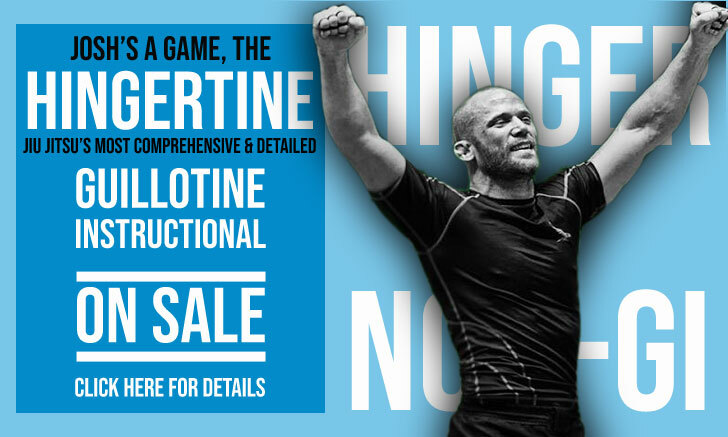 More known for his no gi endeavours in tournaments such as Grapplers Quest or the ADCC, Vinny is returning to the sport where he earned his first world title back in 2002 as a blue belt. Magalhães hasn’t competed in Copa Podio before, and it will be interesting to see how he will (re)adapt to the game. Vinny will be one of the largest men in the competition, and certainly one of the most likely candidates to make it through the group stages. The GF Team powerhouse is ready to turn heads his way. 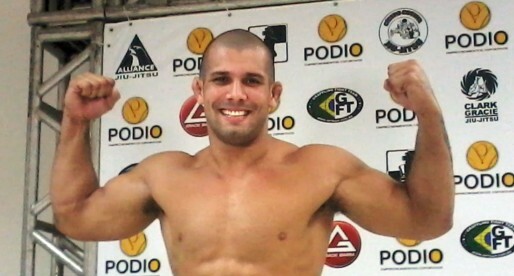 The only brown belt in the competition, Honório conquered his spot in the prelims of Copa Podio, in a show called “THE TEAM”, fighting for Rodolfo Vieira‘s side. Victor Honório won the Rio Open (weight & absolute) last year as well as the Brazilian team nationals (mixed black-brown belt division). Much like his Polish colleague Maksymilian Wiśniewski, the Portuguese grappler, Nelton Pontes is virtually unknown by to the major bulk of the grappling community. A team member of the Gracie Barra (Seixal-PT) academy, Pontes started his career in martial arts through kickboxing having added jiu jitsu to compliment his martial arts game. Since then Nelton took a shine to BJJ, competing and winning several national titles, as well as the World Pro Championship in 2014 (brown belt). More recently Nelton made his debut at black belt, winning the Rome Open, in which he defeated the crafty veteran Pedro Henriques (WJJPC black belt finalist). With little pressure going in to the tournament, it will be interesting to see if Nelton Pontes or Wiśniewski manage to score any points during the group stages. This would be of great value to Copa Podio’s European market share. A true veteran of the sport, Delson won the world championship as a black belt back in 2002. Built in true “Pitbull” academy style, Pé de Chumbo doesn’t have a weak bone in his body, tested in many different rule sets having very recently fought at the ADCC trials in Rio de Janeiro, beating some very tough competitors such as Claudio Calasans and even Daniel Moraes, who is also on the CP card. As the name might suggest, Eduardo started in the luta livre esportiva, a style of catch wrestling developed in Brazil. Since his luta livre days, Eduardo has shifted his focus to the gi, and has had great success fighting in Manaus. Being from a smaller gym than most of the other athletes and having less international experience, Inojosa seems to have a tall order at hand, but those that have trained with him say he is set for big things in the sport. Hello. Just an appointment: Alex didn't close the bracket with Liera last year, they fought and Liera won, I guess it was by footlock but I'm not sure.